A sejm that simply dissolved. Sejm in Piotrków 1555. 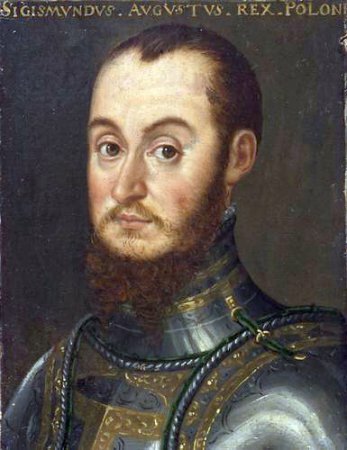 The sejm was convened by the king Sigismund I the Old, to take place in spring 1555 in Piotrków. The pre-sejm sejmiks were held at the beginning of 1555. Sejm proceedings lasted from 22 April to 15 June 1555. The proceedings were dedicated to internal affairs: reformation and execution of laws, which especially preoccupied people of those days. A proposition was raised to convene a national council and to declare religions freedom. 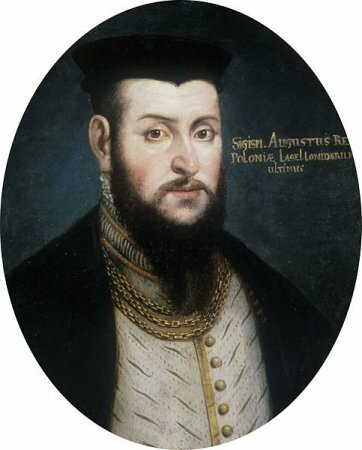 The deputies’ postulates of far-reaching execution of laws and of properties met the resistance of the king Sigismund II Augustus, who, when it came to this matter, followed the senate’s judgement, which opposed the idea. Therefore the king came into conflict with the Chamber of Deputies. Because of the internal conflicts, the sejm did not take up the matters, the king cared about, that is Lithuania being threatened by the Muscovy. Sejm was dissolved in an atmosphere of mutual antipathy, the king was especially unpleased, not even adopting universals or resolutions, except for some decisions on minor issues. See: Dzienniki sejmów walnych koronnych za panowania Zygmunta Augusta, Króla Polskiego, X. X. Litewskiego, 1555 i 1558 r. w Piotrkowie złożonych, Wydanie braci Lubomirskich, [The history of general sejms under the rule of Sigismund II Augustus, king of Poland, X.X. Lithuania, gathered in 1555 and 1558 in Piotrków. Published by Lubomirski brothers] Kraków 1869; A. Sucheni-Grabowska, Zygmunt August król polski i wielki książę litewski 1520-1562 [Sigismund II August, the king of Poland and Grand Duke of Lithuania 1520-1562], Warszawa 1996;A. Sucheni-Grabowska, Sejm w latach 1540-1587 [Sejm in 1540-1587 ], in: Historia sejmu polskiego [The history of Polish sejm], t. 1, Warszawa 1984, red. J. Michalski, s. 114-216. Ustawodawstwo zob. Volumina Constitutionum, T. 2, cz. 1, Design and layout prepared by S. Grodziski, I. Dwornicka, W. Uruszczak, Warszawa 2005, s. 69-71.